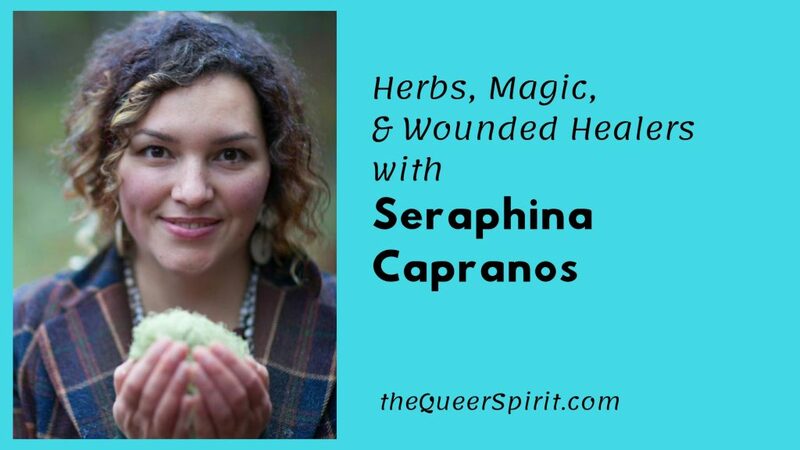 Seraphina Capranos is a homeopath, herbalist, and educator who is passionate about bringing more healing, communion, and earth magic to the world. She grew up learning natural medicine from her elders, and this rooted her in the confidence and power of the body’s innate healing wisdom, which inspires her daily. Seraphina’s greatest passion is educating and empowering people in the wisdom of natural medicine through one-on-one consultations and classes at her clinic, The Green Raven Centre on Salt Spring Island, British Columbia, Canada, where she’s been in practice since 2004. She also offers online consultations. Seraphina gives basic descriptions of western herbalism and classical homeopathy, their differences, and how they fall under the umbrella of naturopathy. She shares her story of being a 3rd generation herbalist, using plant medicine for common family ailments; and how she used natural medicine to help her through a spinal injury. How to make the decision to use natural medicine instead of prescription drugs, particularly for prevention and comfort. She describes how most herbs are often safe and tested over centuries to offer ease and support. Using magic for healing by connecting to the energy force of nature, spirit and the unseen world. 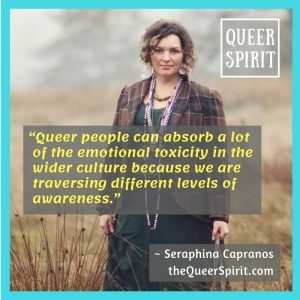 As queer people are often more sensitive in their environments, which is a gift and challenge, Seraphina talks about how she supports people to manage their energy levels. 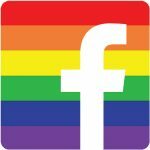 Queer people are natural wounded healers as a result of our path in the world today.